Which I thought was hilarious, because I was wearing brooks cascadias. And I’d chosen them because in my year of pre-PCT research (aka late-night blog reading) it had seemed like cascadias were, in fact, the favorite shoe of thru-hikers. So I’d emailed the company before my trip and told them this, and they had seemed surprised. 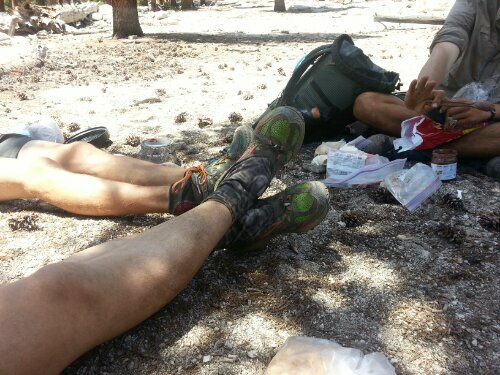 They’d had no idea that PCT thru-hikers liked cascadias so much. Well, I said, can I have a pair? And so they sent me the shoes in exchange for writing about cascadias on the PCT. So brooks, this post is for you! And thank you! I’ve been wearing cascadias this whole trip, and for a while I wasn’t sure if they were awesome or not, because I hadn’t thru-hiked in any other shoe. 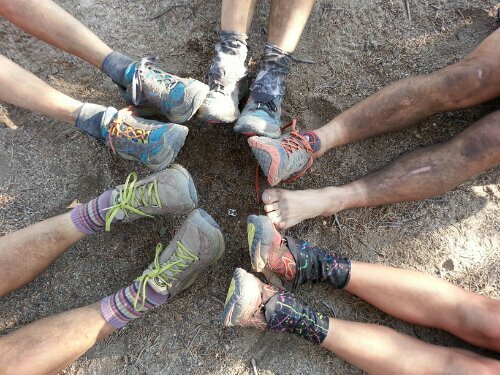 And for the first few weeks I saw people wearing all sorts of trail runners- salomons, nikes, old running shoes from home. 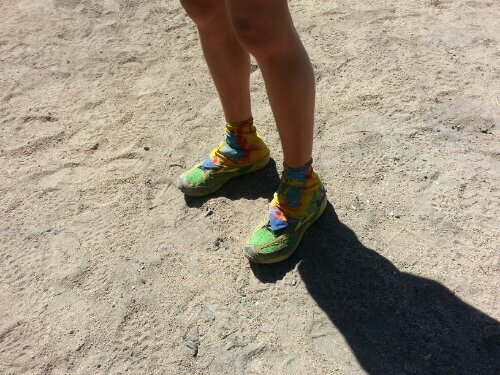 There were people everywhere, an unbelievable number of thru-hikers, and they were all wearing different sorts of shoes. I even met two people wearing hiking boots! So I thought- the cascadias are awesome, sure, but look at all these people wearing all these different kinds of shoes! Then, something happened. Toes eploded in blisters, heels swelled up, tendons throbbed in pain. 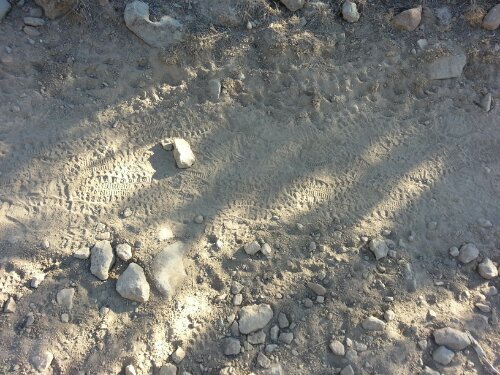 The foot learning curve at the beginning of the trail is steep, as your feet transition from tender, compact city feet to puffy, callused desert hooves. Everyone’s shoes from home were now too small, and it was time to order new shoes. And almost everyone ordered cascadias. Including the two women wearing hiking boots. Then, the second thing happened. Lots and lots of people quit before Kennedy Meadows, mile 700. They didn’t make it through the desert, that last section especially, with the longest waterless stretches of the whole trail. Tons of people dropped out, and by the time I was at Kennedy Meadows, there seemed to be only about half as many hikers as when I’d started. It felt as though the hikers left over were the ones who were actually going to finish the trail- and almost all of them were wearing brooks cascadias. With a sprinkling of salomons mixed in. These two things are super, SUPER important. If your shoes are not too big your feet will turn to hamburger, and if your base weight is high it will add an exponential amount of stress to your feet, causing you more foot problems. And if it aint broke, don’t fix it, right? Yay! Love this pic of your legs and feet. I work in a factory all day on my feet. I use a lot of foot powder and lavender essential oil on my legs and feet. Would sure love to go off on a hike sometime. Great blog, I’m enjoying it so much. Thanks for putting it down for everyone. Thoroughly enjoying the blog. Keep it up! Carrot, agree with your observations. My wife and I hiked in the Brooks Cascadia in 2011 on the PCT and loved them. The 9’s have a slightly lower heal and better toe protection, which I’m excited about. Even though Brooks doens’t think so, they seem to outlast every shoe out there.